American Express has once again extended their partnership with Lufthansa at Frankfurt & Munich airport allowing Platinum and Centurion card holder to access the Lufthansa Lounges as part of their American Express Global Lounge Collection. Platinum cardholders can enjoy Busines / Senator Lounge access and Centurion members may also access the First Class Lounges prior to their flight with an eligible Lufthansa Group ticket (Lufthansa, Austrian, SWISS). Usual access policy for said lounges is being Star Alliance Gold for the Senator Lounge or holding a Star Alliance airline First Class ticket. 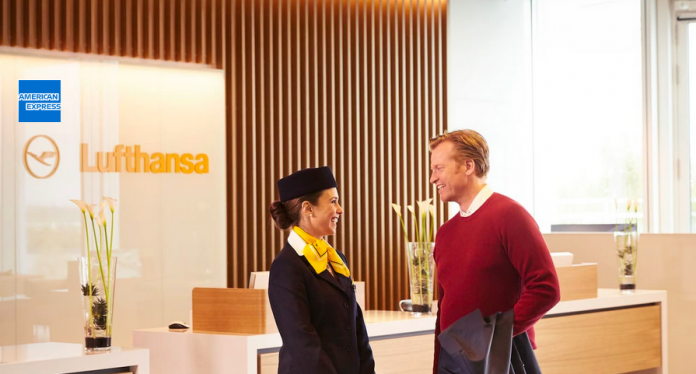 The Lufthansa First Class Lounge is usually reserved for Lufthansa Miles&More HON Circle members as well as Lufthansa/Swiss First Class passengers (including connecting flights). You can access details to the American Express Global Lounge Collection on their website here. 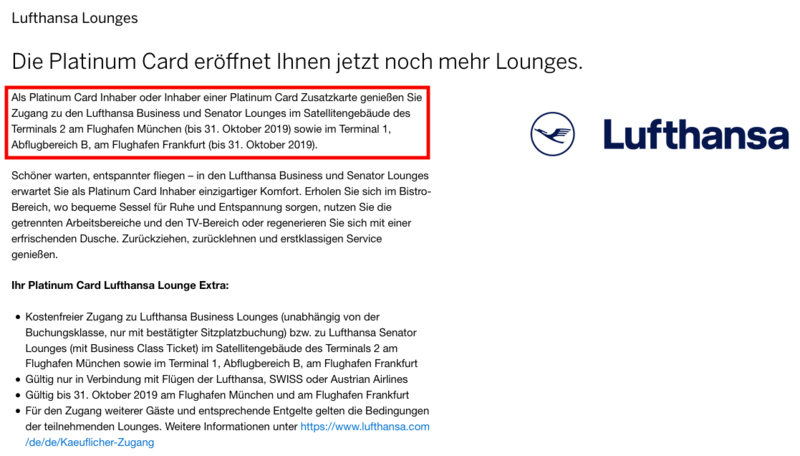 The partnership with Lufthansa was originally expiring in May (May 31st, 2019) but has now been updated on the German American Express website and extended until October 31st, 2019. As part of The American Express Global Lounge Collection, we invite Platinum Card and Centurion Members to enjoy access to select Lufthansa airport lounges in the satellite area of T2 in Munich Airport and in Terminal 1 Concourse B of Frankfurt Airport. Keep in mind that access to the Lufthansa Lounges is limited to Frankfurt / Munich and only the locations specified in the Terms and Conditions – not all Lufthansa Lounges at these airports! It’s a big advantage for Amex premium customers to add additional lounges to their network even though the locations are limited (for now). So far there has only been clear communication to U.S. based card members but maybe one of our readers with foreign Amex cards can comment if they received similar information, especially the members in Germany. It’s a bit annoying that this is constantly being extended in six months increments. Can’t Amex & Lufthansa strike a more permanent deal that lasts at least a year?